Foundation is the most crucial product of your fine makeup. An inappropriate foundation will destroy all your work in the subsequent steps. 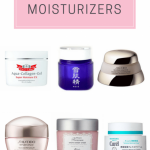 Just like Korean girls, Japanese girls are famous for their flawless and dewy skin as well. If you want to achieve this goal, you need to not only pay attention to your skincare routine but also find a good makeup foundation. Here are the best Japanese makeup foundations you really need to try. Cle De Peau is one of the biggest names in Japanese luxury cosmetics. A lot of their makeup products become cult favorites. This Cle De Peau Silky Cream Foundation comes with SPF 26 to offer you medium coverage and sun protection. It has a lightweight texture with an enchanting fragrance. The biggest advantage of this foundation is that it can last for a long time even for combination and oily skin type. 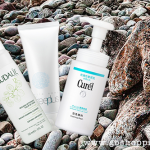 Moreover, the moisture properties of this product work to provide enough hydration for your thirsty skin. It is blended with your skin so well that people will think you are born to have flawless skin. The only reason you may hesitate to try it is its relatively high price. Suqqu is a high-end cosmetics brand in Japan that famous for its natural and botanical ingredients in their products. This foundation is the best one in their foundation category. The formula here contains a moisturizing blend of 12 different vegetable-derived extracts to provide generous hydration. Plus, it creates full coverage for your dark spots and dullness, leaving your skin brighter with the healthy radiance. The texture is light and you only need to take a very small amount of it every time to cover all your face. This one would be a perfect choice for dry to combination skinned girls. 7 shades available. RMK is famous for its cleansing balm and foundation. This Gel Creamy Foundation has a lightweight creamy texture. It is infused with Hyaluronic Acid to offer you intensive moisture. In addition, sebum-absorbing powder in this foundation will make sure your makeup last for more than 8 hours. Even though the texture is not thick, its medium coverage is enough to cover your pores and imperfection. SPF 24 indicates that this foundation will offer basic sun protection. However, I still advise you to apply sunscreen before it. This foundation suits all skin types. 7 shades available. Koh Gen Do is a makeup brand created by Ai Saotome who is a famous Japanese actress before. As the name of this Koh Gen Do Aqua Foundation suggests, this is a makeup foundation that focuses on hydration. The formula contains a blend of olive oil, squalane oil, and jojoba oil, known to hydrate skin and reduce wrinkles. 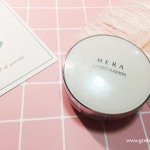 Besides, this product has medium coverage with invisible shimmering powder to blur your pores and cover dark circle in some circumstances. The texture is light and the shade color is natural, helping to even out your skin tone and maintain a flawless complexion. However, it may make your T-zone become cakey after 4-5 hours if you have too oily skin. This covermark essence foundation is an ideal makeup foundation for acne-prone and oily skinned girls. The ingredients of this foundation include a lot of moistures and botanical extracts to ensure you will get tons of hydration without causing any irritation and breakouts. The texture is light and the look is natural. Plus, it has a semi-matte finish and good oil control effect so that it will not let your face become cakey even for oily skinned girls. “Blue” and “Yellow” series of shades will meet different needs of your skin tone. Besides, this Japanese makeup foundation is better to use in Winter. 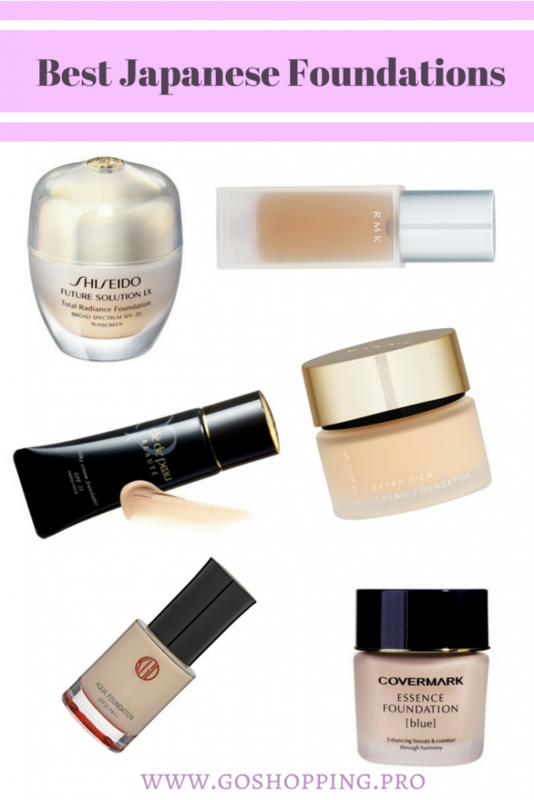 If you want to find an anti-aging foundation, this Shiseido’s star product would be a good choice. As a product in Future Solution Line, this Japanese makeup foundation is formulated with Skingenecell 1P to repair DNA damage and boost cell turnover. Hence, this foundation will help you to prevent future fine lines as well as bring you the flawless look. Plus, it will balance your skin tone and bring you a finish with a healthy radiance. The texture is light and the coverage is medium. Better for dry to combination skin to use on cold days. This is our recommendation for the best Japanese makeup foundations. 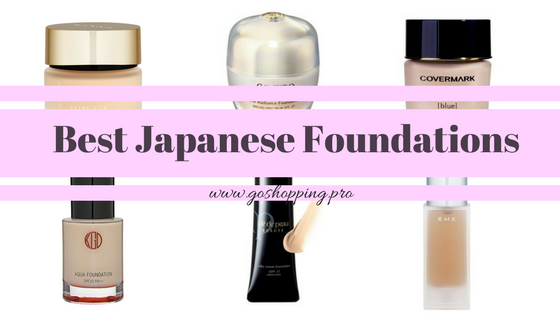 As you can see above, Japanese foundations focus on the natural finish with lightweight texture. The ingredients in these foundations are mild and some of them even include excellent skin care properties. Hence, the idea here is to bring you flawless look and improve your skin at the same time. However, most of the Japanese foundations have medium coverage, therefore, it is better to apply them with concealer.